Your challenge project (quilt, table runner, tote bag, or whatever you choose) is due at the Oct 30 guild meeting. If you aren’t sure what to do, consider making an item for our quilt bingo, Comfort for Kids, Quilts of Valor, etc. Everyone that participates in the challenge will be entered in a prize drawing. 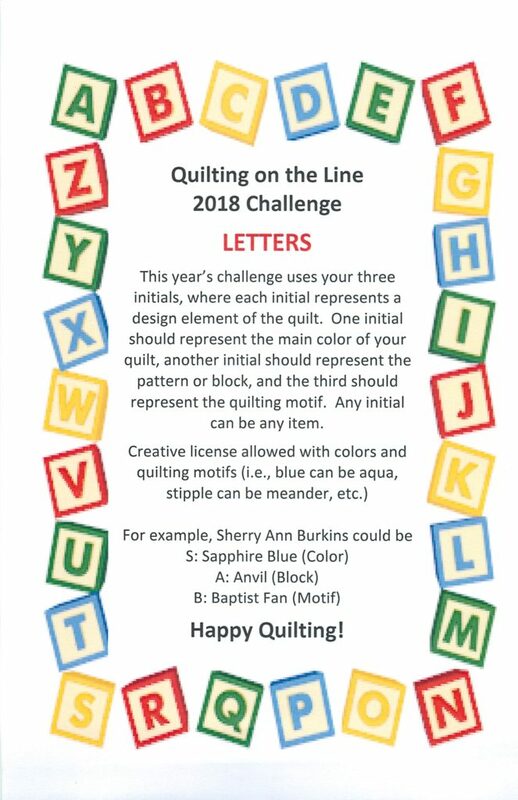 The 2018 Challenge rules can be found below. For questions, please contact Sherry.